Special pattern on the dust filter creates a unique outlook for the chassis. The case can be put in vertical or horizontal position. Behind the motherboard tray, it offers 28mm wide and spacy room for hidden cable management. 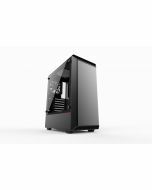 The front supports up to two 140mm fans and up to a 240mm radiator. 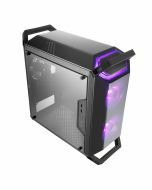 The rear supports a 120mm fan or radiator and the top two 120mm fans. All to ensure you don't have to compromise on performance.